Top Dog Training and Resort focuses on creating a caring and fun, learning environment, so your k9 family members enjoy coming back. We offer the best of both worlds because Top Dog is a training/fitness/boarding/ grooming facility. There will be a chaperone on the premises even when your dog is tucked in at night. 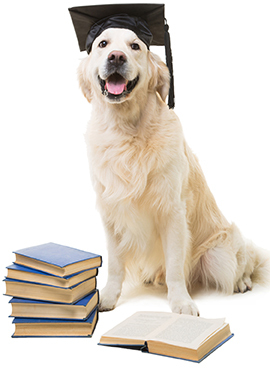 We’ve combined different training theories to optimize each dogs’ skills, as well as to focus on customer satisfaction by offering support to the pet owners throughout the stages of training. Our goal is to use exercise, fun training games, and structure to mentally and physically stimulate the dog(s) by creating a challenging learning environment to improve his/her skills. We recognize each dog as an individual and build their confidence thru positive reinforcement during each stage of development. Our school promotes a caring and supportive environment to optimize each dogs potential. Our staff is focused, positive, and encouraging. We all agree, a tired dog is less likely to misbehave. .